If your sales report shows many products that say 'Not Set', that indicates the sales did not have a Lot Cost set at the time. This is most common when looking at Sales Reports for a time that was before Shopventory was installed. Lot Cost would not have existed then, so no profit calculation could be made (reports only use the lot costs, not the default). 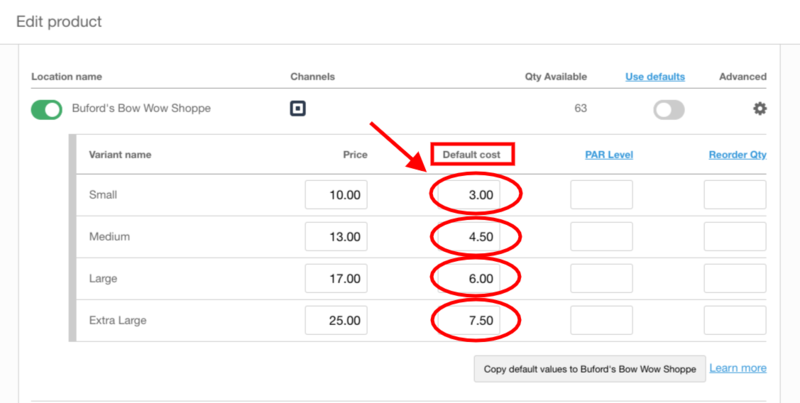 In the 'Advanced' tab in the 'Settings' section of Shopventory, you'll find the option to use the current Default Cost for all prior lots that don't have a cost entered. 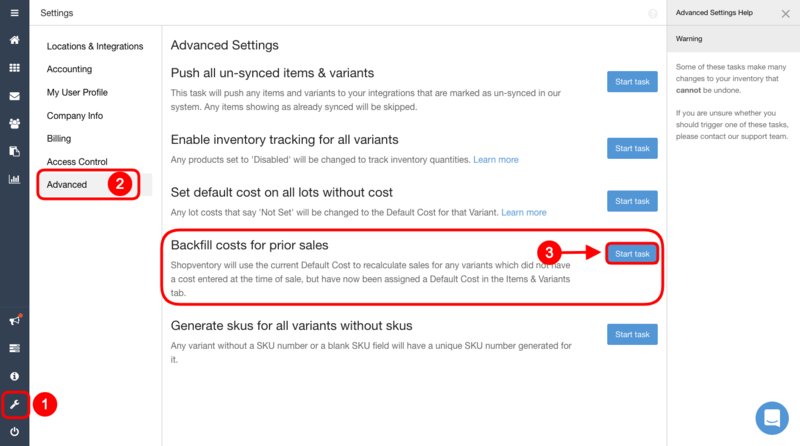 Once a product's historical costs have been backfilled, those lots cannot be altered, so make sure you have the right Default Cost entered in the Edit Product panel before you run this task. Please start a chat if you're not sure. We are here to help!